If you know me, you know that I love food - especially sweets and desserts! And more than that, I love to bake and cook! Experimenting in the kitchen to create tasty snacks using ingredients that serve my body for performance, recovery and optimal health is my idea of bliss! I can personally vouch for how much time, money and energy I save by cooking my own food and having these readily prepared, good quality snacks in tow! Creating amazing healthy food doesn’t have to be hard! 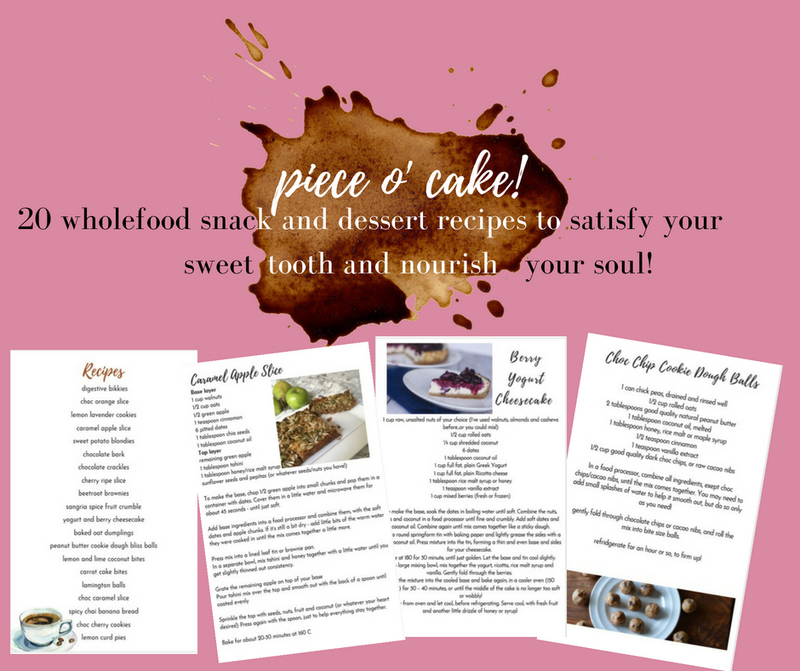 Piece o’ Cake is a collection of my absolute favorite recipes for different bikkies, slices, cakes and bliss balls - all easily made with wholesome ingredients to satisfy your sweet tooth and nourish your body & soul! Perfect with a cuppa and the pages of your current book!